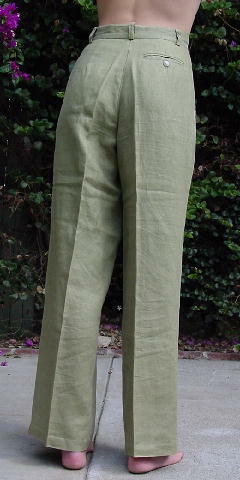 These light lime green pants are 100% linen. 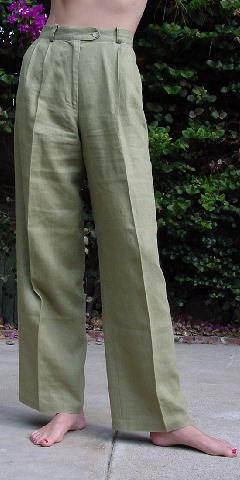 They have a front fly 7" zipper, belt loops, a 1-button front waistband closure, and 2 pleats on each side of the zipper. There are two front vertical slash pockets and a 1-button closure back horizontal slash pocket. A model wore it with vintage blouses (tucked in) and snakeskin belts. She sold it because she gained weight.